We were asked to define our goals in distributing the XOâ€™s this summer. After some thinking, my main goal, which may be different from the team, is to provide a basis for knowledge. In my opinion, the most important block to prosperity in many African and poor countries for that matter are poor because of a lack of knowledge. The most basic educational attainments that we have in the United States are not yet realized in the African countries. Many in Africa are afraid of the powers of technology and many just simply do not know the capabilities of technology. As previously mentioned I was interviewed by Austrian radio station Ã–1 about OLPC last week. The piece aired today and itâ€™s now available via the Digitales Leben podcast feed. 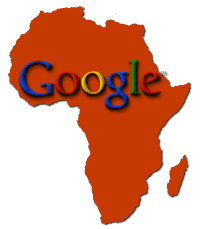 This the first installment of a series of posts in which I have the hubris to reflect upon What Google Should Do In Africa (#WGSDIA).Â There is some context for this post in the preface to the series. I recently happen to re-discover phdcomics.com which I hadnâ€™t read in quite some time. Among the many awesome comics this one strikes me as being one of the funniest. Enjoy! If research papers had a comment section is also pretty damn good! Ich bin vor einigen Monaten Ã¼ber den Blog bzw. Twitter-Feed von Robert Misik gestolpert und seither von seinen Artikeln und Videos immer wieder begeistert gewesen. Eines der Highlights dabei ist sicherlich der FS Misik Videocast fÃ¼r den STANDARD (der Ã¼brigens vor kurzem sein derStandard.at/TV Portal gelauncht hat). Yes, I finally did: I got my own domain! Iâ€™ve been talking about getting into the domain-grabbing business for quite some time and Iâ€™m happy that nobody snapped up www.derndorfer.eu before me. If you check out the URL youâ€™ll see that Iâ€™m still a bit clueless as to what exactly to do there so if you know of any cool personal Web sites I should look at for inspiration then please give me a shout. On Monday Iâ€™ll be heading to Linz to participate in a panel discussion on New Approaches to Education which is part of the 80+1 project. Hereâ€™s what the Web site has to say about the event: Expert panel discussion and open forum on the subject of new approaches to education; panelists include Christoph Derndorfer, one of the first members of OLPC Austria, freelance writer Armin Himmelrath and, via Skype from China, Calvin Chin, CEO of Qifang. Join Inveneo at Maker Faire Africa, August 14-16 in Accra, Ghana. Secret to development is to be taller! taller makes you happier, richer, smarter â€“ thanks a lot from us short people, tall Anne Case and Angus Deaton! False pessimism exposÃ©: American children still doing better than their parents (CafÃ© Hayek) are they taller?